Nothing feels better then when you have the top down and the doors off while driving your Wrangler JK or JL. 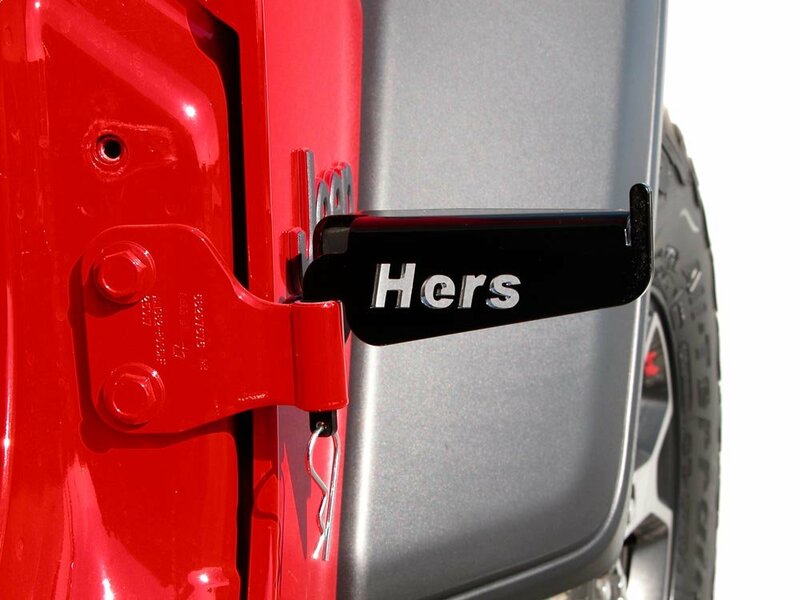 That open air feels amazing but let take it one step further with a pair of His and Hers or Hers and His Foot Pegs so you can rest you foot comfortably while driving your Jeep. These foot pegs install in the lower door hinge and are angled so your foot is positioned nicely while you enjoy the open road & open air. 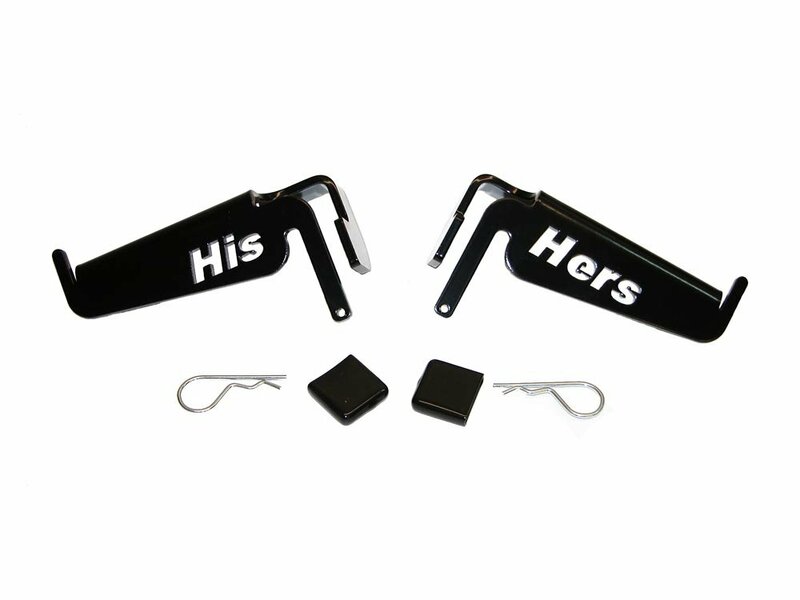 Made in the U.S.A.
Design: These foot pegs set in at an angle giving on your lower door hinge so you can rest your foot comfortably while you are in your Jeep. 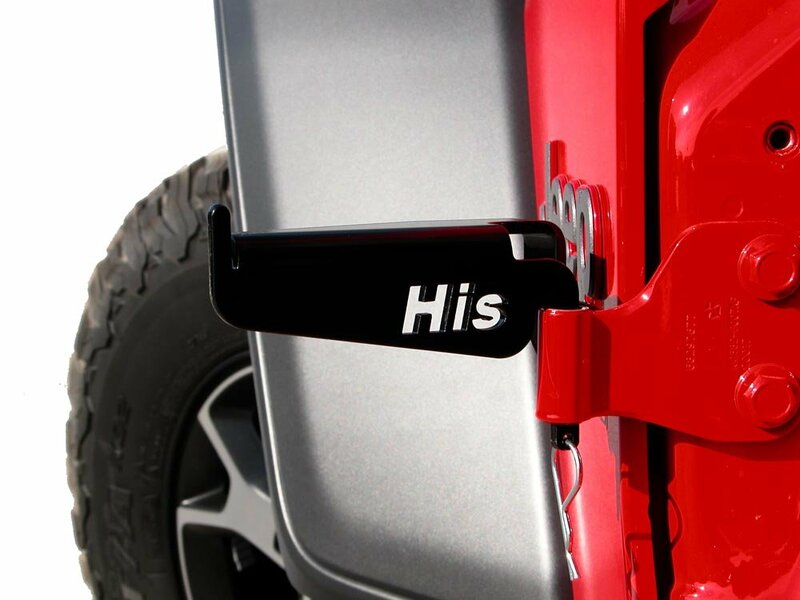 Bumpers are provided so you do not scratch the paint of your Wrangler JK or JL. 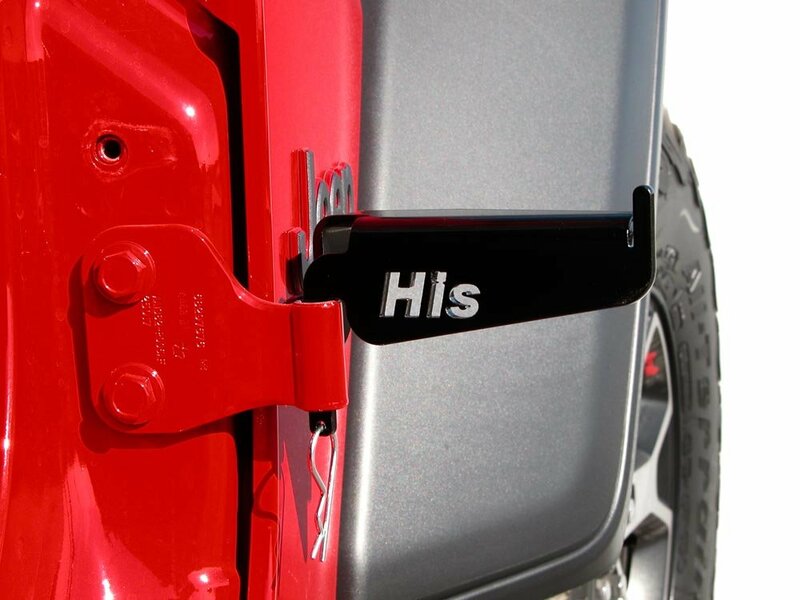 Made from 3/16" steel for durability then black powder coated to prevent corrosion. 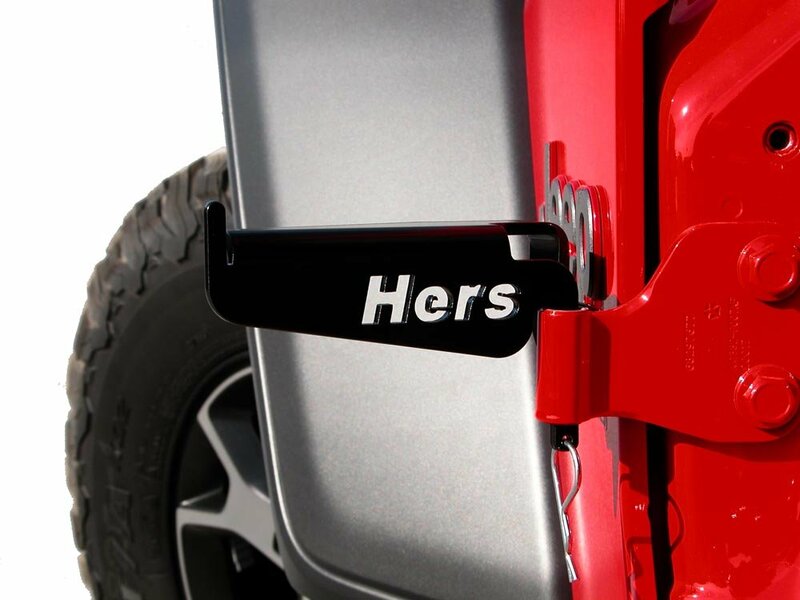 Options: These come in your choice of having the "His" foot peg on the driver side or the "Hers" foot peg on the driver side for the female Jeeper! Installation: You will not need any tools to install these pegs in the lower door hinge. The only tool that is needed is a T-50 Torx wrench to remove your doors. Bumpers are provided so these foot pegs will not rub against your paint.